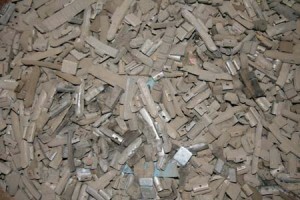 Tall Ingots buy all types of non ferrous products. 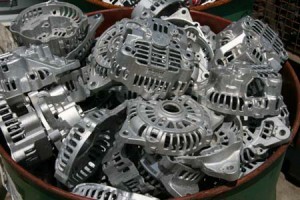 Non ferrous products do not contain iron therefore the easiest way to tell if a product is non ferrous like aluminium, copper, zinc, lead or nickel is to use a magnet. If the magnet sticks then more than likely it will contain iron. If it doesn’t stick then it will likely be non ferrous. 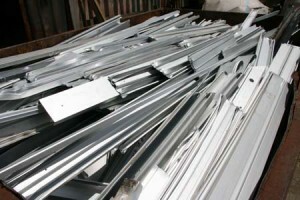 All metals have the ability to be recycled over and over again without loosing any of their properties and this includes non ferrous metals. Delivering your non ferrous materials to Tall Ingots will help promote the recycling of metals and thus positively impact the environment. 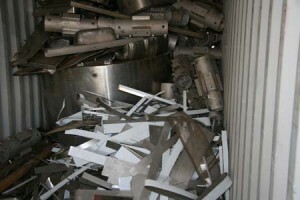 Below is a list of common non ferrous products we currently purchase. 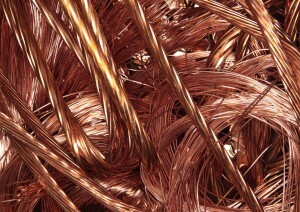 The clean copper wire that is inside the wiring of your house, phones and electrical chords. When your plumber leaves an off-cut of copper tube behind that has no solder joins or paint. When your plumber leaves behind copper tube that “has” solder joints or paint. 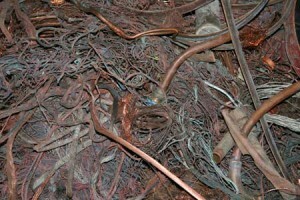 It can also be clean copper wire from a household appliance that has been burnt. 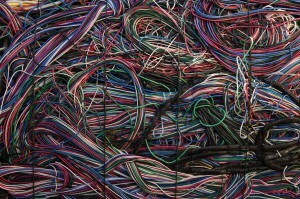 This is the wiring that is in your house, phones and electrical chords. It is the copper wire with the insulation still on. Electric motors from any appliance or machine. 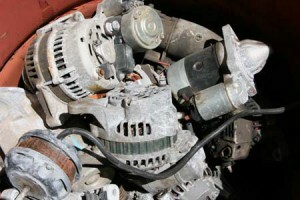 Excessive attachments will reduce the price paid for the motor. 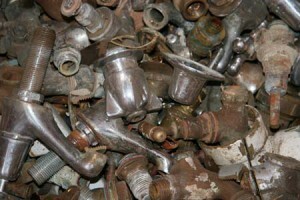 This can be taps from your sink, a broken symbol from your drumkit or old plumbing joins from your piping. The easiest way to tell if it’s brass is by grinding a piece and if its yellow then it will be brass. 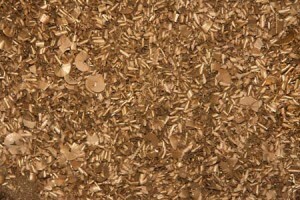 The shavings that come from any type of brass that is machined or turned. 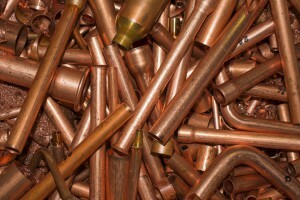 This is brass that has a higher copper content so it will have a deeper colour. 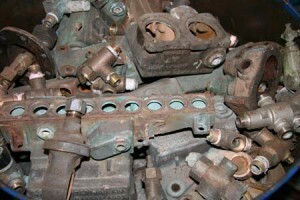 Usually valves, pumps and machinery parts. 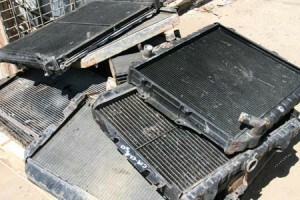 We will purchase the radiators with the steel attached or removed. 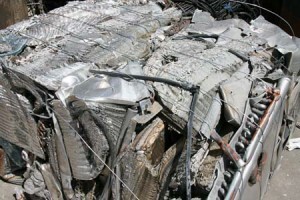 Old aluminium cladding from a caravan or house that has no steel attached. 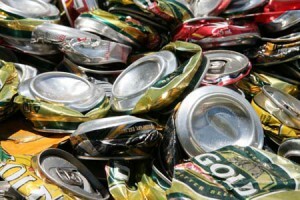 Any aluminium drink vessel can be recycled. Just remember that you will need approximately 62 cans to make a kilo. This is the aluminium window framing without the glass or steel attachments. We can still buy the aluminium if it has steel attached however it will be at a reduced rate. It does not matter if the aluminium has been anodised or painted. 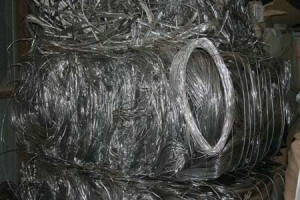 This is clean aluminium wire that is free of any attachments, steel or paint. 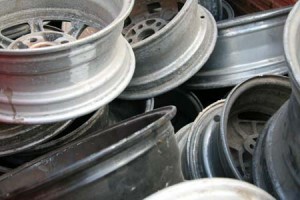 These are the aluminium wheels from your car. We purchase the rims with or without the rims attached however there is a waste levy applied to the disposal of the rubber tyre. Cast aluminium could be cylinders from engines. 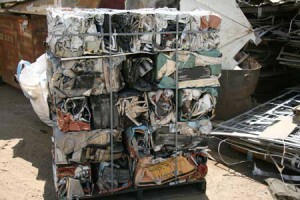 Die cast toys, money boxes, car components and sacrificial anodes can be purchased and recycled. Usually the cores from air-conditioning units. We purchase the radiators with or without steel attached however there will be a reduced rate if the steel is still attached. Sheet lead from roofing, lead wheel weights, old sinkers, lead ingots and even the old lead roof nails have a value. 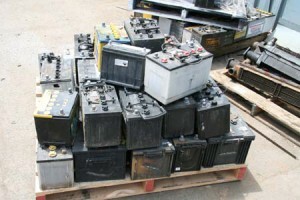 Old car and motorcycle batteries can be recycled. 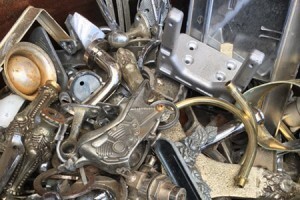 Old kitchen sinks, kitchen utencils, piping, plate, nuts & bolts. Many items related to food preparation are made from stainless steel. The easiest way to tell if it has a higher value is to use a magnet. If the magnet doesn’t stick then it will have a higher value than if the item were magnetic.